A sprinkle of Chia Seeds. 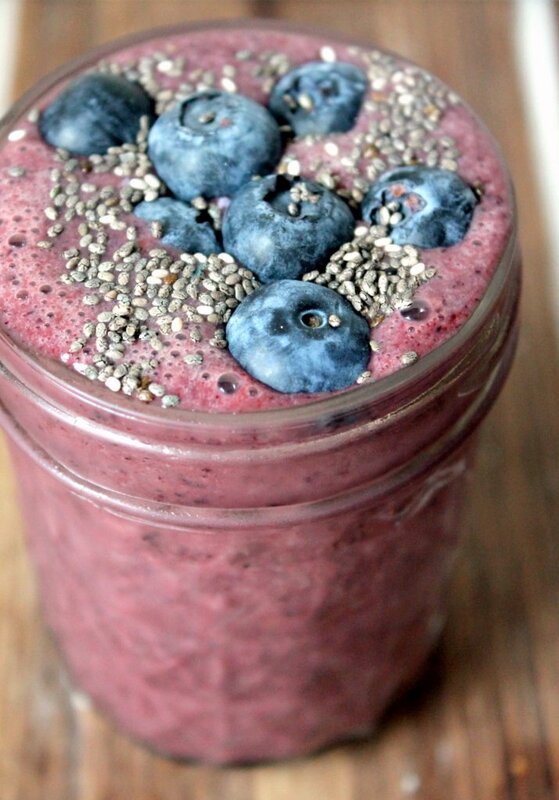 Did you know that Chia seeds contain a healthy dose of omega-3s? In fact, they are one of the richest plant sources out there. 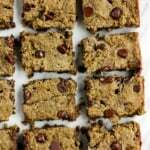 They’re also packed with fiber and protein. Who knew a little seed could be so powerful? 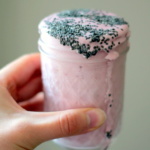 Get your sprinkle on or better yet, blend them into the smoothie! 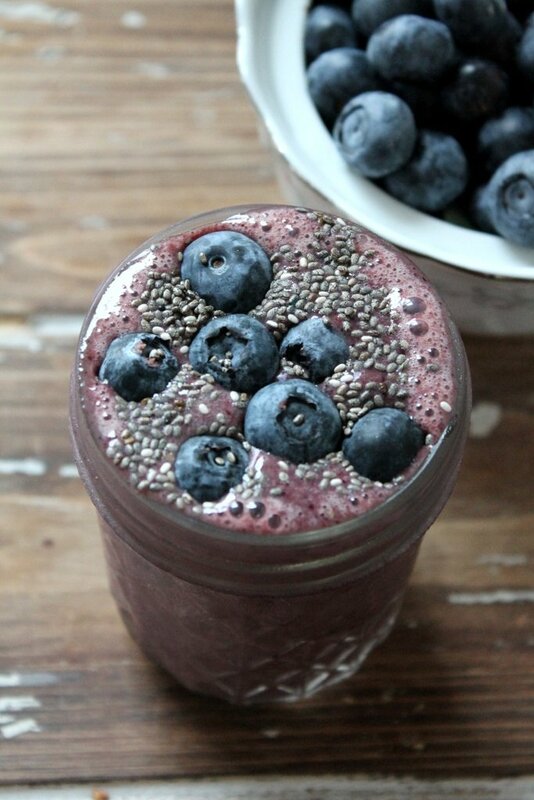 Learn more about chia seeds here. 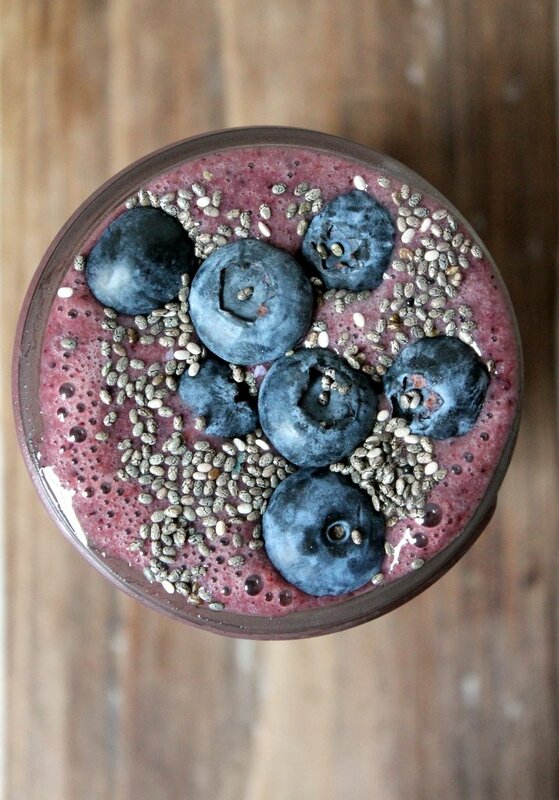 A power smoothie packed with wild blueberries, strawberries, banana, almond milk, spinach and chia seeds. 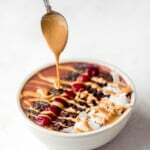 The perfect pick me up or breakfast! 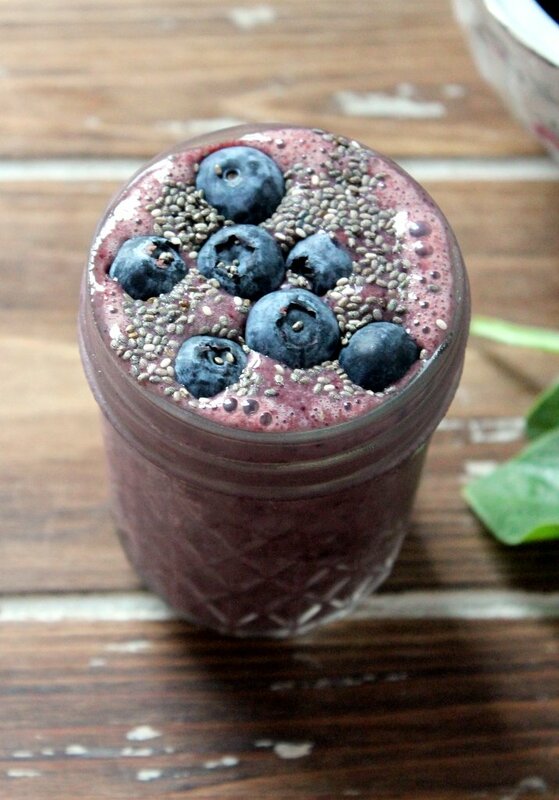 60 Responses to "Wild Blueberry Banana Spinach Power Smoothie"
I’m not normally a power smoothie type, but you’ve made this look so enticing! The colors are so pretty. That smoothie looks so fluffy and delicious. I’m freezing bananas to make this tomorrow morning. I’m glad I’m not the only one who can devour a huge bowl of steamed broccoli. I love it with a little nooch. 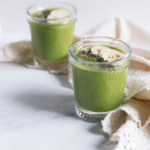 Thank you, thank you, thank you for sharing a Smoothie Recipe! Guess what we are going to have tonight! 🙂 Couldn't make me happier! I am digging this recipe so hard!! Looks awesome! Yum! 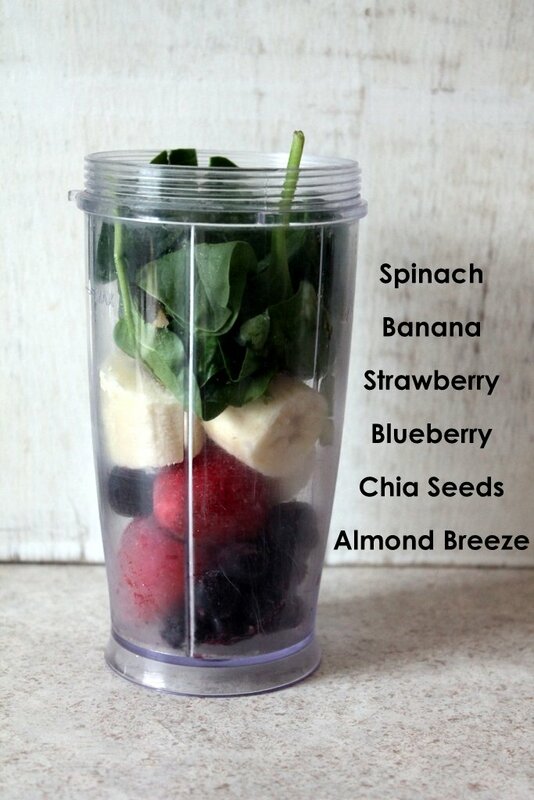 I love everything in this smoothie. Aren’t chia seeds kind of beautiful when you look at how detailed they are up close? I make this every day! Loooove it , can't do without it! This is a perfect way to start the day! I didn’t know they were a hit – I sure will! 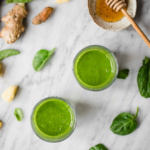 Love this smoothie … Just curious, where do the 5g of fat come from? Just wondered where the 4.9 grams of fat came from – is it good fat? I thought the banana was overpowering as well. Couldn’t really taste the blueberries. I’m going to try it again tomorrow and just omit the banana. 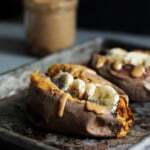 I often make this smoothie; to mix things up I sometimes replace the banana with cooked oatmeal or cooked sweet potatoe. I’m on the Atkins diet. The carbs seem high in this recipe. Is that correct? If so , I’ll cut some of the fruit back and use heavy whipping cream. Can you believe I was even lazy to chew on something I’ve gotta to say i have a real bad cold! Banana baby spinach strawberries blueberries chia seeds oats and rice milk blended up in a few seconds did the trick! Drinking this right now! It’s delish! Thanks for sharing! 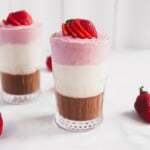 I made this but used 2 tbs of peanut butter and omitted the strawberries (allergies). It was so yummy. Thanks for sharing. Drink it everyday so good and lots of energy! Makes you feel good All day!! Could you add half a cucumber? How would effect the taste? Hi Katherine! Thanks for the love!